This lamp delights with its imaginative design and playful shape. 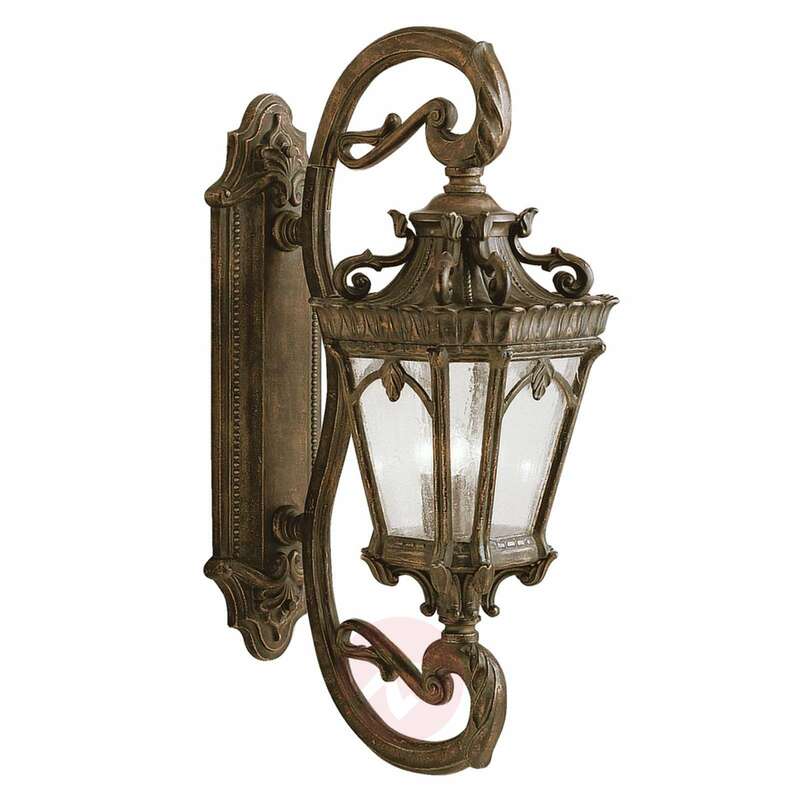 The Tournai outdoor wall light is an impressive light source in an elegant antique look. The designers of this light were inspired by stylish street lamps and the lighting in the mansions of England, Ireland and Belgium. Not only the magnificently ornamented edging, but also the ornamental glass with fine-grain texturing, provide a special decorative effect.